Razaghi, CEO of Razaghi Healthcare, told the committee March 11 his company’s mission is to help tribal healthcare organizations to find their footing financially and improve health care in their communities. 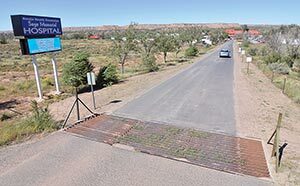 At present, he said, Four Corners Regional has “no money, no resources, no assets,” and he has been consulting with the facility’s board of directors, which in 2010 was designated by Council as a tribal health care organization similar to those that run IHS facilities in Tsehootsooi and Winslow, Arizona. He told the committee the board asked him to pursue a ’638 contract, whereby the IHS would fund the hospital but it would be managed locally.